Military's Brain-Testing Program A Debacle The U.S. military is spending tens of millions of dollars to test every service member's brain to find out who suffered a traumatic brain injury during the Iraq and Afghanistan wars. But an investigation by NPR and ProPublica has found that military leaders are refusing to carry out the testing program. The U.S. military has spent more than $42 million to test every service member's brain to find out who suffered a traumatic brain injury, or TBI, during the Iraq and Afghanistan wars. But an investigation by NPR and ProPublica has found that military leaders are refusing to carry out the testing program as Congress ordered. Partly as a result, the program that was supposed to fix things has hardly helped any of the troops. On a recent morning, four dozen soldiers who were about to be deployed to Afghanistan filed into a squat wooden building at Fort Lewis, in Washington state. For the next 20 minutes they would sit at rows of laptop computers clicking through the automated neural psychological assessment metrics computer program known as ANAM. 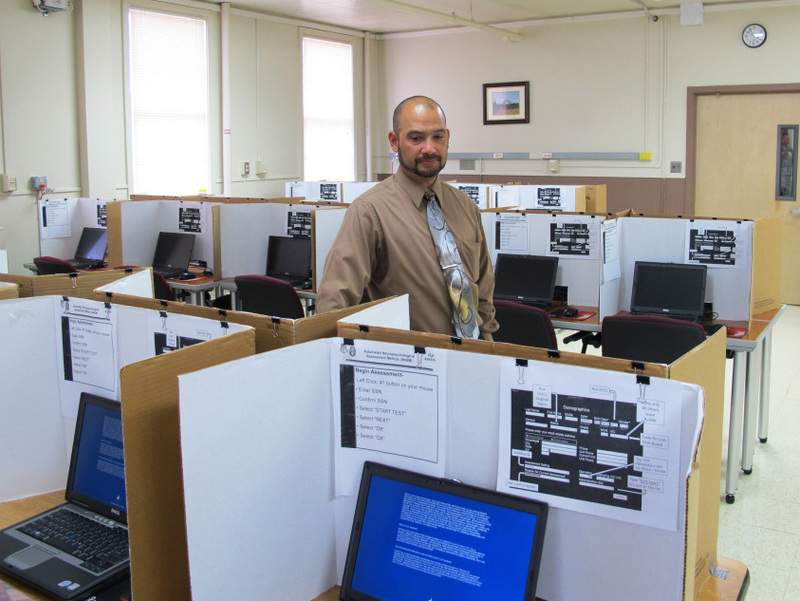 Felix Rios, a contractor with the Office of the Surgeon General, helps administer the ANAM test at Ft. Lewis, in Washington state. Congress ordered the military four years ago to test all service members for cognitive brain functions at least twice — before they go to war, and again when they return. "One of the best ways to tell if something's affecting you is to know how you were before it happened. That's what you do here with ANAM. You'll take ANAM, and it's going to be your baseline," says Felix Rios, a contractor with the Office of the Surgeon General who helps administer the test. Soldiers like Sgt. Michael Persyn say they're glad they've taken this test. "It at least gives me a feeling that if ... there is something wrong with me, that they'll be able to know about it," he says. "I felt more reassured," says Benjamin Louis Westman, another soldier taking the test. But an investigation by NPR and ProPublica has found that these troops have little reason to feel reassured. From interviews with dozens of medical specialists and an analysis of hundreds of pages of military emails and documents, evidence shows that military officials have made poor decisions about the testing program, preventing it from helping many troops who have brain injuries. "We have failed. We have failed soldiers," says retired Col. Mary Lopez, who used to run the Army's testing program. She still works with soldiers in Germany. "It is incredibly frustrating because I can see firsthand the soldiers that we've missed, the soldiers that have not been treated, not been identified, misdiagnosed. And then they struggle." The NPR/ProPublica investigation found that the TBI testing program was plagued with problems before it even began. When members of Congress told the military to test all the troops to see how well their brains work, Congress was giving an order that's difficult to carry out. Dr. Alex Dromerick co-directs the Brain Research Center at the National Rehabilitation Hospital. Here he observes Stephen Jones, a policeman who was involved in a motorcycle accident. "The field is not caught up with Congress' mandate," says Alex Dromerick, who co-directs the Brain Research Center at the National Rehabilitation Hospital, in Washington, D.C. "Congress wants something that takes many years and a lot of research effort to develop." He also says a doctor with special training is needed to diagnose a TBI. A computer test can show you that someone's brain isn't working well, but there's no test on the market that can show why. "The test to meet Congress' specifications does not exist yet," Dromerick says. However, he and other brain specialists say, a good computer test can help doctors by providing a warning light if someone flunks the test. That could signal someone might be suffering from a brain injury and needs a medical evaluation. Another problem with the program is that top military officials did not choose a very good test, according to the Pentagon's own medical advisers. They say the National Hockey League, whose players are constantly hitting the glass — and each other — has a better test to help spot brain injuries than does the U.S. military. An investigation by NPR and ProPublica has found that the ANAM testing program used by the military to identify soldiers with traumatic brain injuries has failed to deliver on its promise, offering soldiers the appearance of help, but not the reality. Four years later, more than 1 million troops have taken the test at a cost of more than $42 million to taxpayers, yet the military still has no reliable way to catch brain injuries in soldiers. When such injuries are left undetected, it can delay healing and put soldiers at risk for further mental damage. * The people who invented ANAM and stood to make money from it were involved in the military's decision to use it. No other tests received serious consideration. A report by the Army's top neuropsychologist circulated last year labeled the selection process "nepotistic." * The Pentagon's civilian leadership has ignored years of warnings that there was insufficient scientific evidence that the ANAM could screen or diagnose TBI. The military's highest-ranking medical official said the test was "fraught with problems." * Compounding flaws in the ANAM's design, the military has not administered the test as recommended and has rarely used its results. The Army has so little confidence in the test that its top medical officer issued an explicit order that soldiers whose scores indicated cognitive problems should not be sent for further medical evaluation. * Top Pentagon officials have misrepresented the cost of the test, indicating that because the Army invented ANAM, the military could use it for free. In fact, because the military licensed its invention to outside contractors, it has paid millions of dollars to use its own technology. "We find that the testing program is very useful for our athletes," says Ruben Echemendia, a chief neurologist for the NHL. There are various computer brain tests on the market, just like there are different kits to test blood pressure, so to pick the best one, Echemendia assembled a Concussion Working Group with doctors, players' representatives and others. "All of the research in their tests, all of the peer-reviewed publications that they had, including the reliability and validity data with the tests, and it was fairly clear to us which program we wanted to use in our testing program," he says. ANAM was not that test. Instead, the NHL chose one called ImPact. According to Echemendia, the test can pinpoint problems in thinking, concentrating or reacting in about 30 percent of the players who say, "No problem, I feel fine," after slamming their heads. "Had we not been using these tests we may be returning these players back to play prematurely," he says. But sources in the military say that they didn't do any rigorous comparisons when choosing which test to administer. Instead, Pentagon officials were determined to use ANAM, which was developed by military researchers, despite concerns by their medical advisers. "The scientific advisory panel did not to the best of my recollection at any one time say the ANAM is the choice, is the instrument that should be used," says Morgan Sammons, dean of psychology at Alliant University in California, who was one of those advisers. The advisers warned there weren't many good studies on the test and that it's too sensitive. Test-takers who didn't sleep much or were distracted could get low scores, which might mistakenly lead doctors to treat them for brain injuries. "ANAM will never be a good population screening tool. It just doesn't have the ability to detect a concussion weeks or months out from the event itself," says Michael Russell, a neuropsychologist, who currently runs the Army's ANAM program. "If they had said, 'Would you like to use something else?' I probably would have said, 'Yes, I'd like to use something else.' "
Doctors with the Special Forces insisted on using something else. They chose the same test that hockey players use. Ward Casscells, who despite some advisers' concerns made the decision to use ANAM when he was assistant secretary of defense, says he can't remember the details of the debate. "I think we reached an agreement on it that half a loaf was better than none, and we would watch this test closely to see how it could be improved," he says. Despite the test's flaws, studies show ANAM can help spot troops with brain injuries if military officials use it correctly. Top Pentagon officials ordered the Army, Air Force, Navy and Marines to give ANAM to all their troops. But this led to a third problem: Many officials refuse — especially in the Army. Consider this scenario: A Marine is about to deploy to Afghanistan and takes the ANAM to get a baseline score. The results are terrible — showing poor reaction time and awful memory. On page 11 of this report obtained by NPR and ProPublica, it notes: Baseline ANAM testing will not be used to generate medical referrals. Jack Tsao, a Navy commander and neurologist who runs the traumatic brain injury programs for the Navy and Marines, says the answer for those services is easy: "Yes, if there's an abnormality we need to follow it up." He says it's possible that the Marine might just be tired, which could contribute to a low score. But it's also possible the Marine has brain damage from a previous deployment, which nobody has diagnosed. So the Navy issued an order that Marines or sailors who test poorly must be sent to a doctor for a follow-up. "Our obligation as medical providers to our patients who are service members is that we try to figure out if there is something going on, that needs to be treated," Tsao says. 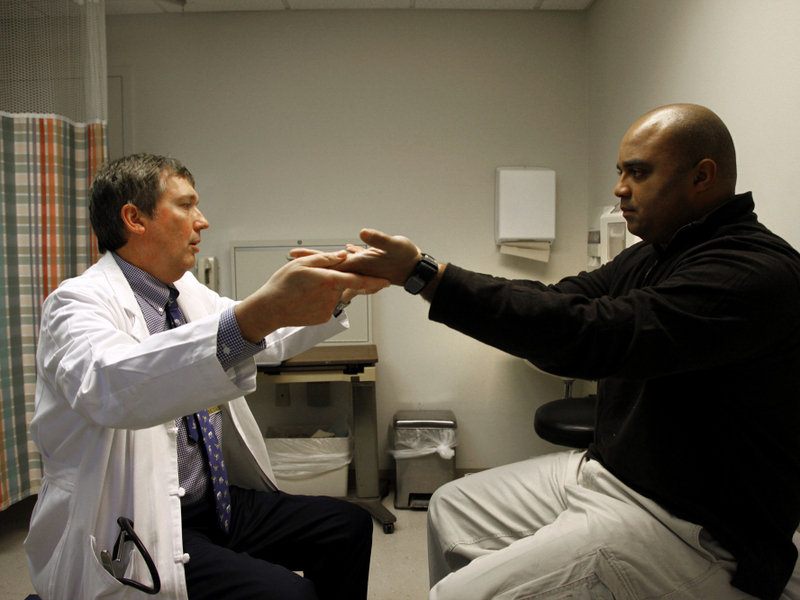 "We want to ensure that we are taking care of our service members' health needs." But Lt. Gen. Eric Schoomaker, who runs the Army's medical system, issued a written order in November 2008 that said Army troops who score low on the ANAM test "will not" be referred for a follow-up medical evaluation. 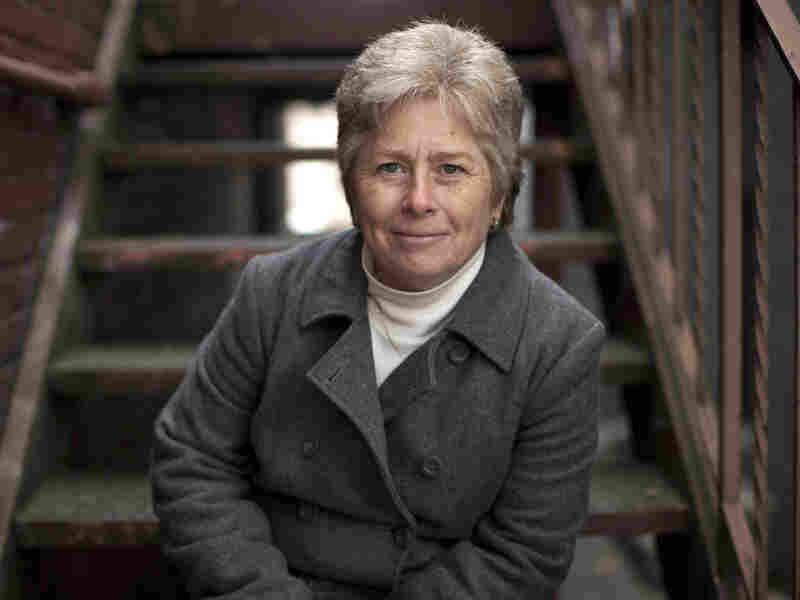 Retired Col. Mary Lopez used to run the Army's ANAM testing program. She currently lives in Bavaria, Germany, where she's an occupational therapist still working with soldiers. One top military doctor, who spoke on the condition of anonymity because she was afraid she would get in trouble if she used her name, calls Schoomaker's policy "unethical." Lopez, who used to run the Army's testing program, says the order hurts the troops. "The ANAM testers themselves will come back and say: 'I have a soldier right in front of me who says, "I was in a blast. I'm still having headaches. My memory is short." And I'm really concerned about this person's performance on this test,' " says Lopez. "And we can't tell the primary care provider." In a written statement, Schoomaker told NPR and ProPublica, "Of course, if the Soldier has any symptoms or problems with their health, they are encouraged to document this and discuss it" with a health care provider. Sources who have worked with Schoomaker told NPR and ProPublica that Schoomaker has banned follow-up evaluations based on ANAM partly because the Army has a shortage of trained medical staff. "Certainly our large medical centers are very well-staffed with good professionals. Where soldiers mobilize is often much more austere environments," acknowleges Russell. "There aren't a lot of professionals ... nearby who could quickly evaluate those people." Sources also said that Schoomaker and other commanders worry that if troops who score low on ANAM are referred for medical evaluations, it could postpone their deployments. Since Congress ordered the Pentagon to test all the troops almost four years ago, the military has done half of what Congress asked — it has given the ANAM to 1 million people before they deploy. But the military has tested only a tiny fraction of the troops since they've come home. Roughly 1 million baseline tests are sitting in a file without a follow-up. Additional reporting and stories about soldiers returning home with traumatic brain injury. Rep. Bill Pascrell, D-N.J., one of the key legislators who persuaded Congress to pass the law that ordered the Pentagon to test the troops, says this is not what Congress asked for. "The Army seems to be fighting us on this. This is not adequate. You're doing harm to these veterans and these wonderful warriors and their families, and we're not going to put up with it," Pascrell says. "This is not what we paid for. I don't believe our troops are being treated correctly." But military officials say they've recently begun an in-depth study to compare ANAM with other kinds of brain tests. They say they plan to select the best one, and use it the way Congress intended. Results are expected in 2015. That's more than two years after most of the troops are scheduled to come home. Continue reading more of this investigation on ProPublica.org. Daniel Zwerdling reported for NPR; Joaquin Sapien and T. Christian Miller reported for ProPublica.